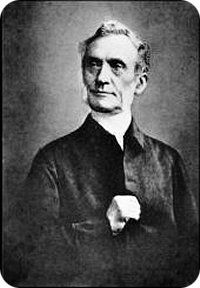 George Muller - Westminster Congregational Church ""
GEORGE MÜLLER (1805-98) was the founder of a celebrated Orphanage at Bristol in 1836. He was born at Kroppenstaedt, near Halberstadt, Germany in 1805 but later became a British citizen. He studied at the gymnasium of Nordhausen and the university of Halle, and had a license to preach in the Lutheran establishment. According to his own account his early youth had been very sinful until about 1825 when he was converted by the Lord through contact with a group of devout Christians. "TRUST IN THE LORD." (98k) docx (31k) pdf (101k) zip (22k) Proverbs iii. 5-17. A Sermon Preached at Bethesda Chapel, Great George Street, Bristol, on Sunday Evening, May 30th. 1897. THE TWENTY-THIRD PSALM. (90K) pdf (87k) docx (27k) zip (34k) A Sermon preached at Bethesda Chapel, Great George Street, Bristol, on Sunday evening, June 20th, 1897--Jubilee Sunday. "THE GOD OF ALL GRACE . . ." (103k) pdf (52k) docx (27k) zip (17k) A Sermon preached at Bethesda Chapel, Great George Street, Bristol, on Sunday Evening, March 28th, 1897. YET I WILL REJOICE IN THE LORD. (74k) pdf (44k) docx (24k) zip (15k) A Sermon preached at Bethesda Chapel, Great George Street, Bristol, on Sunday Evening, June 13th, 1897. THE LORD'S PRAYER. (94k) pdf (38k) docx (28k) zip (20k) A Sermon preached at Bethesda Chapel, Great George Street, Bristol, on Sunday Evening, March 21st,1897.